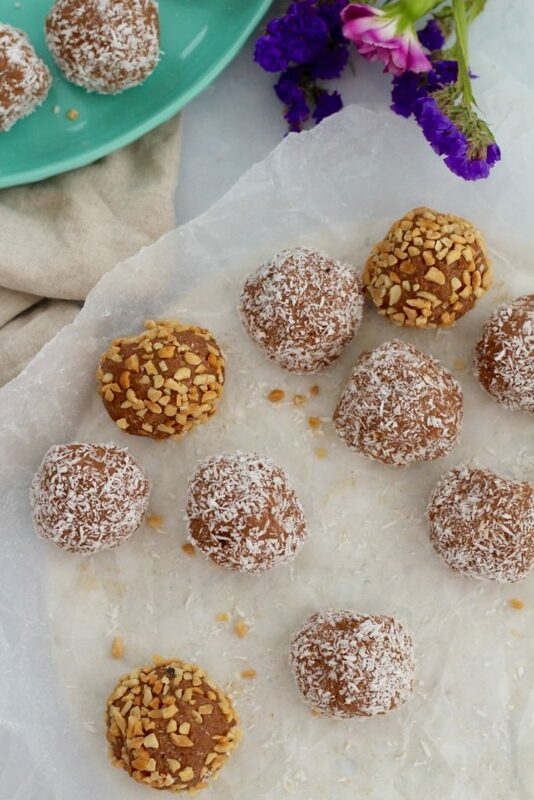 We heard you’re after a date free bliss ball recipe. That’s also high protein, high fat and low carb. Boom! The other day we were both working at our desks and felt like a little something sweet. And you know what? Maybe ‘sweet’ is the wrong word because most of our sweet treats are the low fructose type. They’re actually not that sweet. We don’t actually like to make mega sweet treats, even when they’re healthy. 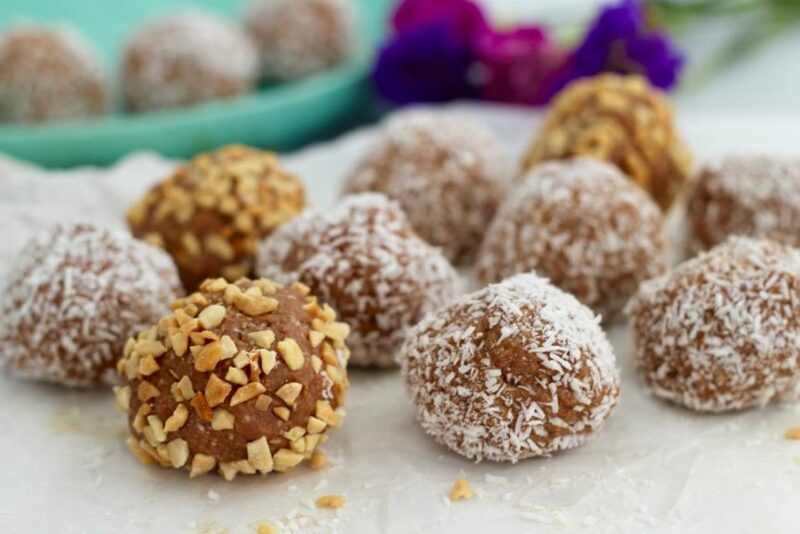 So we feel your pain, we know you’ve done multiple google searches with the goal to find the best date free bliss ball recipe. With probably, maybe not that much luck. The search is almost over! Well, it’s over if you already have our epic amazing recipe app downloaded on your phone. Just open it up and check out the sweet treat section! It’s there! It’s in the app because it’s a special app only recipe. Did you know there are app only recipes on the app? Well, now you do! YAY. And get ready for even more app only delishness! If you don’t have our app don’t you worry! You can download it right now. It’s oh so worth it. Like it’s $4.49 (AUS) and you get over 200 unlocked recipes, including the best recipes from the blog and app only recipes PLUS you get the opportunity to unlock special app bundles. Read more about the app. Yeh that could end up being like a bazillion (ok maybe closer to the 300+ mark) Merrymaker recipes on your phone. Super easy search functionality with a favourites section so you can keep track of your weekly go-to recipes. Plus one of those special app bundles is filled with keto sweet/snack recipes. 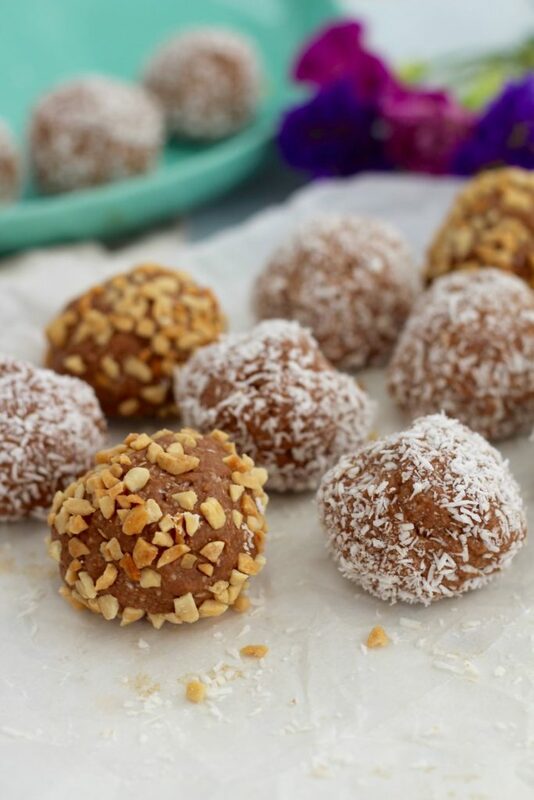 We know it’s wrong to assume, but if you’re after a protein date free bliss ball recipe we have a feeling that the keto fat bomb bundle recipes will be right up your alley! The #GetMerry app is all about the convenience factor and it’s available on Android and iPhone. You can get it over HERE! P.s here’s another pic just to make you drool a bit more. Don’t forget to check out the Get Merry recipe app!